When the NCAA announced it would be replacing RPI with a new metric this season in an effort to better determine the field and seeding for March Madness, it seemed like a good move. RPI, after all, has long been seen as flawed; surely, with all the advancements in analytics in the years since RPI was initially adopted, the NCAA could at least find a better system, if not a perfect one. There are a lot of other systems that produce rankings, though, and despite the relatively early point of the season we're in, they produce much more "reasonable" values. 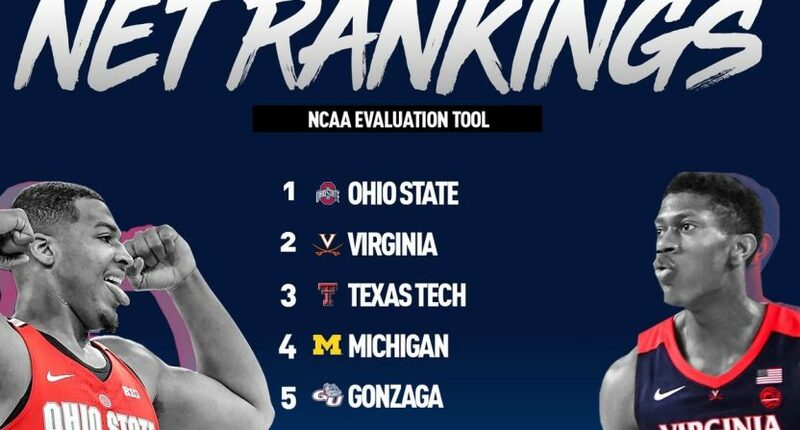 And I guess I'm not sympathetic because a lot of smart people have worked on this problem (power rankings) for a LONG time and the NCAA ignored all that and came up with something that doesn't reflect methodological best practices *and* which doesn't make sense, basketball-wise. But it clearly has its limits, as the first rankings show. Credit for margin of victory is capped at 10 points, which means Duke won’t be granted full credit for its destruction of the Wildcats in the Champions Classic. And the NET’s efficiency rankings, unlike KenPom.com and other analytics sites, don’t account for the quality of the opponent. So a team that records a net efficiency of 0.5 points per possession against Michigan gets the same credit for a team that records that mark against Central Michigan. There’s also the fact that the system is designed to spit out the best result at the end of the regular season; releasing the returns now will, by definition, look foolish. KenPom and other sites utilize preseason rankings (based on returning players, among other factors) that help keep things more reasonable when a team like Loyola Marymount goes 7-0 against meager competition to start the year. Throughout the season, those preseason numbers are factored out, and eventually, with enough of a sample, we get data solely from this season. That’s what NET aims to do eventually, but obviously it’s not there yet by design. And while NET may contain some preseason factors, even just indirectly, it’s clearly not enough. The big problem is that it’s going to be tough to know when, exactly, we should start taking it seriously, and what to think if weird bits of noise continue to factor in as March approaches. This, then, is a very NCAA problem, in that if a problem exists it’s because they didn’t think things through and/or overthought it to death, and if it doesn’t exist, they still managed to create bad optics out of a desire to generate headlines. Good work all around! As for Loyola Marymount, who if the season ended today would theoretically be in line for a top seed: they’re back in action on Thursday at home against the Bethesda University Flames, of the NCCAA’s Pacific Christian Athletic Conference. We’ll have to see how Loyola handles the pressures that come with their current status.